© Angelina Hue. All rights reserved. 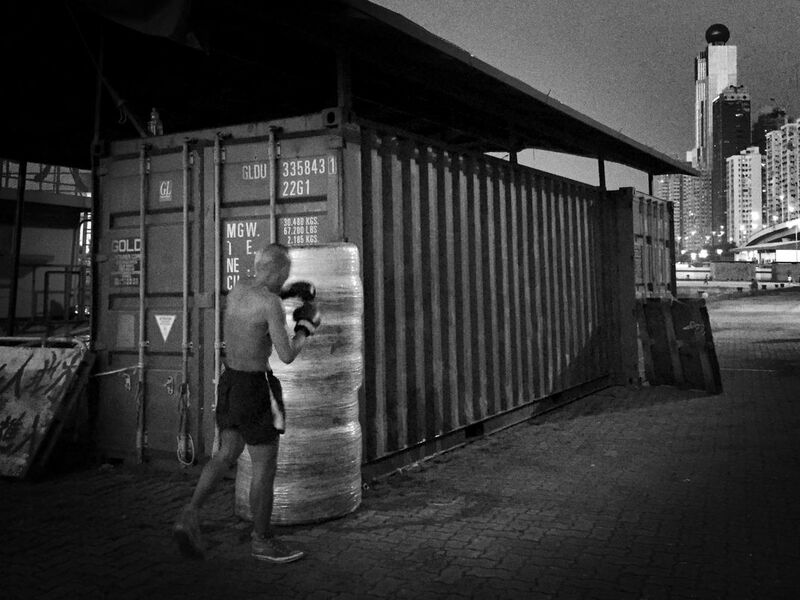 Come nightfall, the forklifts, barges, and bamboo scaffolding in the Western District Public Cargo Working Area become the backdrop for people in the neighbourhood to run, walk their dogs, play badminton, fish, and even to practice kick-boxing. Date Uploaded: Nov. 15, 2017, 10:29 a.m.